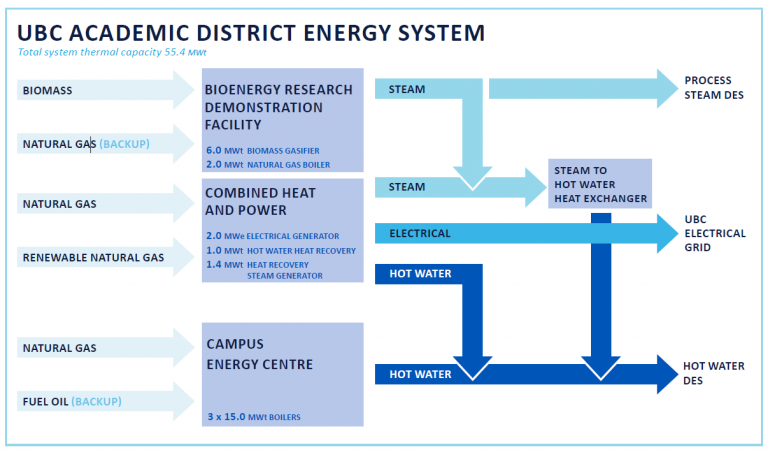 From 2011-2017 UBC’s aging gas-fired steam district energy system has been replaced, piece-by-piece, into a state-of-the-art medium temperature hot water system. The ADES Steam to Hot Water Conversion Project replaced 14 kilometres of 90-year-old steam piping, and connected more than 160 buildings to a highly efficient hot water district energy system. 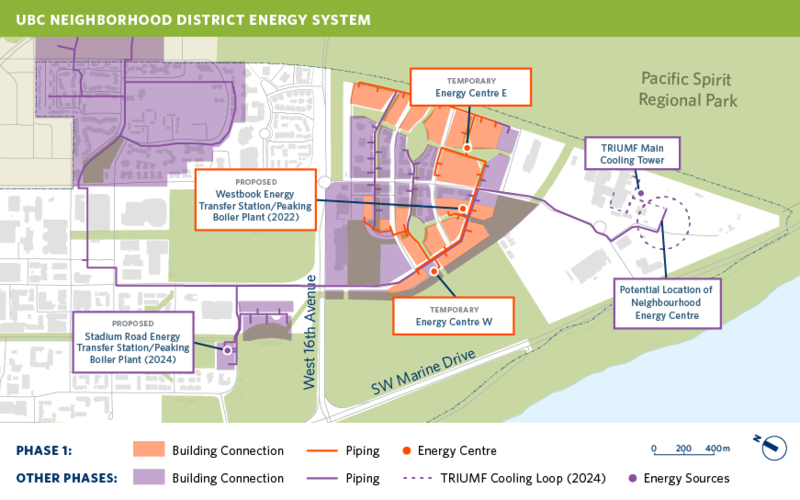 In 2017, UBC shut the doors of its steam plant replacing the system’s primary energy source with the new 45 MWt Campus Energy Centre which, together with the distribution, improves energy efficiency by greater than 24 per cent. 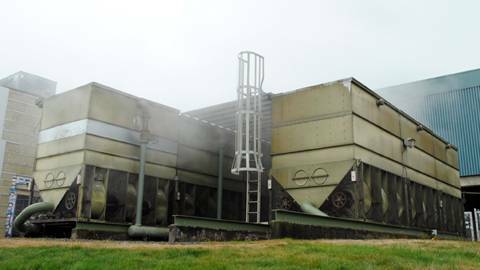 In 2012, an IDEA Innovation Award winning and first-of-its-kind in North America 6MWt biomass gasification system and 2MWe cogeneration unit was added to provide renewable electricity and thermal energy for the campus. Today, 25 per cent of the campus’ heating and hot water needs are met by using clean wood waste. These three milestone projects helped UBC achieve a 34 per cent greenhouse gas (GHG) emission reduction in 2016 from 2007 levels, despite a 16 per cent increase in building floor space and a 23 per cent increase in student enrolment. UBC continues to provide reliable, cost-effective, and increasingly sustainable utilities to its campus and broader community. For those who work, study, live, and play at UBC, utilities are served to multiple facilities including: academic and administrative buildings, research laboratories, animal care facilities, 12,000 housing beds, an Olympic size swimming pool and other athletic facilities, 330 bed hospital, and Canada’s particle accelerator centre housing the world’s largest cyclotron. Looking ahead to 2020, UBC will be tripling the capacity of its biomass plant, energizing two-thirds of the ADES, saving an additional $1.3 million annually. In 2011, UBC partnered with the University Neighbourhood Association (UNA) to develop the UTown Community Energy and Emissions Plan. The most impactful action agreed upon to reduce GHG emissions is the implementation of a low carbon Neighbourhood District Energy System (NDES). The NDES will replace the mix of natural gas and electricity traditionally used to heat UBC’s neighbourhood residential buildings. UBC completed a feasibility study in 2012 to explore the technical and economic viability of the NDES. The new NDES will use high-efficiency natural gas (NG) boilers. At some point in the future, we also anticipate using waste heat energy recovery from the TRIUMF Particle and Nuclear Physics Laboratory facility in South Campus to supplement the NG boilers. The cooling towers at triumf presently transfer all of the waste heat into the atmosphere. This waste heat could be used to provide thermal energy via a hot water district energy system.